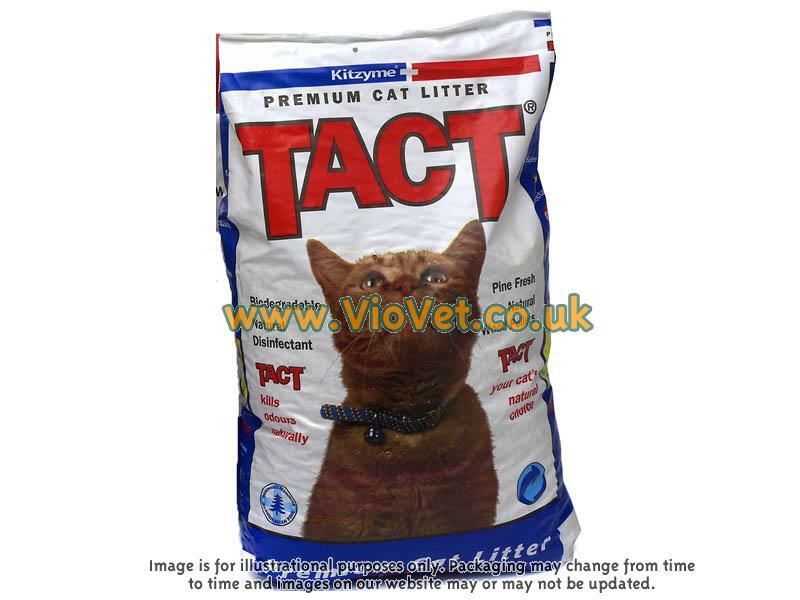 Bob Martin Tact Quality Wood Based Litter is a natural cat litter, consisting of biodegradable wood pellets, which act as a natural disinfectant to effectively kill strong odours and leave a more sanitary area. The product has a pine fresh scent to eradicate unpleasant litter smells. A wood based cat litter in pellet form. Tact is completely natural and is biodegradable for easy disposal. Has a powerful odour absorbing qualities and the fresh fragrance will help banish-pervasive smells. The cat litter is available in 5 litre, 16 litre and 32 litre sizes. There are currently no questions for Bob Martin Tact Quality Wood Based Cat Litter - be the first to ask one!